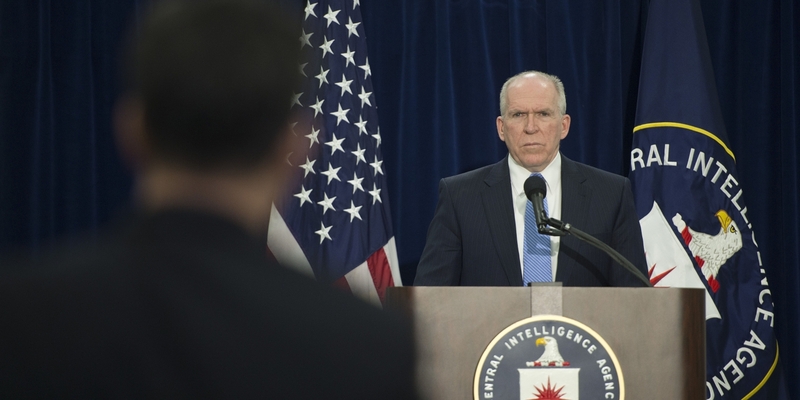 “The Torture Report”: Who Was the CIA Official Who Found Torture Revolting? In early December 2014, Senate Intelligence Committee Chair Dianne Feinstein, D-Calif., released a summary of her staff’s five-year investigation of the CIA’s interrogation programs following 9/11. Best known as the “Torture Report,” the document revealed searing details of ghastly abuses ranging from “rectal feedings” to “near drowning” on the waterboard. But, for the American Civil Liberties Union, the report also raised a whole new set of questions. CIA Director John Brennan takes questions from reporters about the Senate torture report in December 2014. “For all its revelatory, gruesome details, [the report] also revealed more about what we don’t know,” Eliza Relman, an ACLU legal assistant wrote in a blog post. The ACLU has obtained over 100,000 pages of torture-related documents through FOIA requests and legal action over the last 10 years. But the Senate report helped identify some specific gaps. “Many of the questions we are hoping that the documents will answer involve filling out the picture,” says Dror Ladin, a staff attorney with the ACLU who spoke with The Intercept. Q. What else was in an email sent by the CIA’s chief of interrogations telling the CIA he would have nothing to do with the detainee interrogation program? And who was he? The Senate report hints at some dissension in the ranks when it came to the extreme interrogation tactics, but does not go into much detail about who was concerned, how widespread the concern was, or how the concern was handled. He was responding to a written plan to interrogate an inmate named Abd al-Rahim al-Nashiri, who was revealed to have been taken to five different CIA “black sites” and tortured with mock executions, waterboarding, and having a drill held up to his head. CIA officers on the ground, according to the Senate report, told the federal government that he had given up all information he had — but higher-ups insisted they keep torturing him. The report does not indicate who wrote the angry email, or what the rest of the email may have contained. The ACLU is asking for the rest of the email, which was sent between three redacted sources with the subject Re: CONCERNS OVER REVISED INTERROGATION PLAN FOR NASHIRI, date: January 22, 2003. Q. What concerns did the CIA’s Office of Medical Services raise about its role in the torture program? The Office of Medical Services, a small department of the CIA employing staff physicians, was revealed to be intimately involved in observing torture sessions and enforcing guidelines it compiled. The medical personnel were meant to be the “institutional conscience and limiting factor” on the severity of interrogations, according to an internal email between agency medical officers in 2003. The medical professionals’ involvement in the program triggered outrage from the medical community, even before the full Senate report was released. When the Justice Department’s Office of Legal Counsel was asked to weigh in on the legality of certain “enhanced interrogation” methods in 2005, the OMS balked at being responsible for any ethical standards in the program: “Simply put, OMS is not in the business of saying what is acceptable in causing discomfort to other human beings, and will not take on that burden,” wrote OMS personnel in an April 2005 email. “OMS did not review or vet these techniques prior to their introduction, but rather came into this program with the understanding of your office and DOJ that they were already determined as legal, permitted, and safe.” The rest of the email has not been released. Q. What is in the still-hidden sections of the CIA’s 2004 Inspector General report? 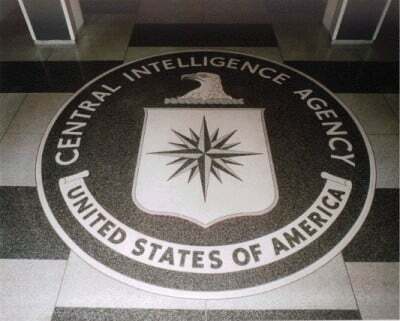 The CIA Inspector General for Investigations conducted a special review of the agency’s interrogation program from September 2001 to October 2003, which was released in part in May 2004. While the visible parts of the report delve into the abstract legal definitions of torture, policy considerations, and some description of the training the CIA officers had prior to starting the program, the majority of the report is redacted. There are sections of dozens of pages that were “denied in full,” while some pages include one- to two-word phrases such as “waterboarding” surrounded by blacked-out text. The ACLU is seeking the Inspector General’s full report on unauthorized interrogation techniques at “detention site blue,” the IG’s draft special review of the counterterrorism detention and interrogation program and interrogation activities, a memorandum for the inspector general relating to the investigation, and the full contents of Pavitt’s comments on the draft. Q. What were the techniques the CIA used to get around restrictions on waterboarding? The Office of Medical Services provided specific guidelines on waterboarding for the CIA to ensure the prisoner is “not likely to suffer any severe mental or physical pain or suffering as a result of interrogation,” and staff attempted to enforce those guidelines by attending interrogations. The ACLU is asking for a memorandum for the record sent by a redacted source on a meeting with the Department of Justice in 2004 regarding interrogation techniques, including waterboarding.